All photos courtesy of LINE Austin. 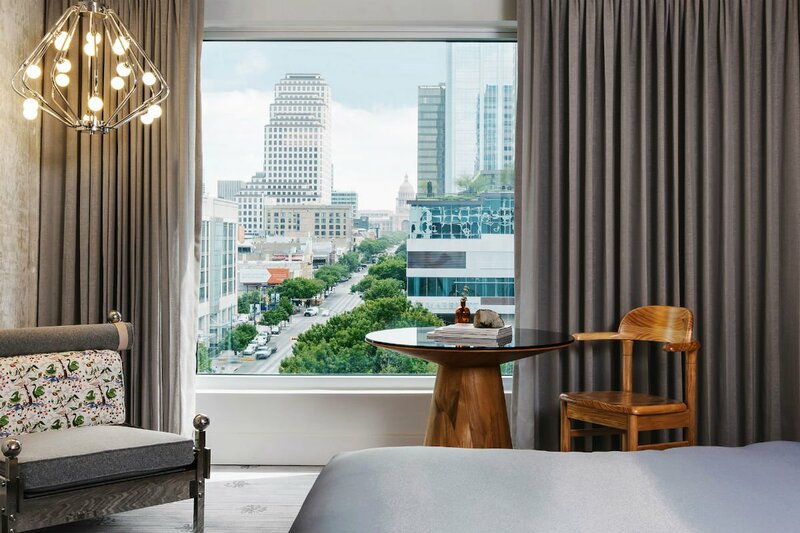 With a long list of design hotels to choose, travelers are spoiled for choice in the sprawling capital of Texas, but Line Austin is a new and noteworthy contender. Barbecue, live music, SXSW. And design hotels. 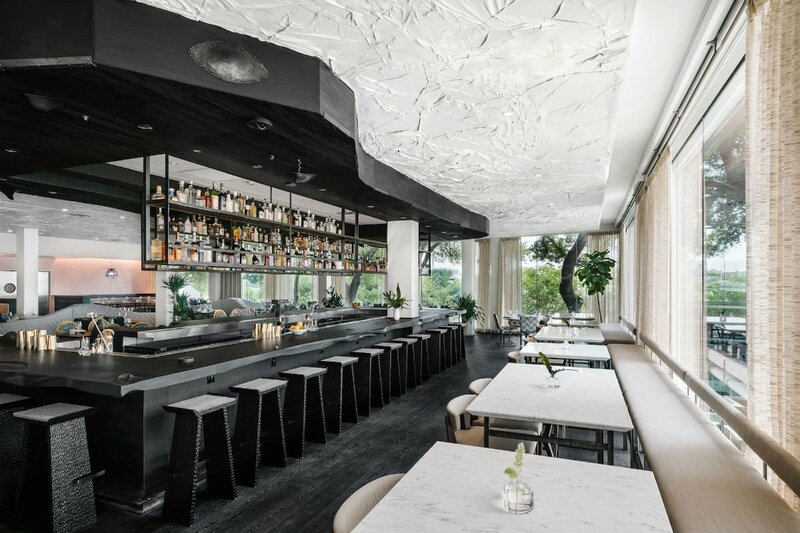 The Line by Sydell Group has joined the boutique renaissance in the capital of Texas, turning their duo into a trio, with Line Austin joining existing properties in Los Angeles and Washington, DC. 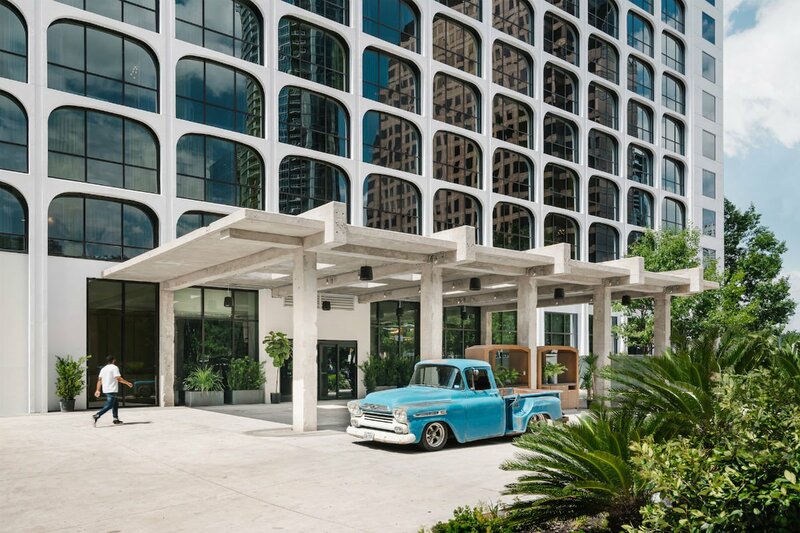 Through architecture and interior design, the 428-room hotel invites Austin's lively outdoor culture inside. 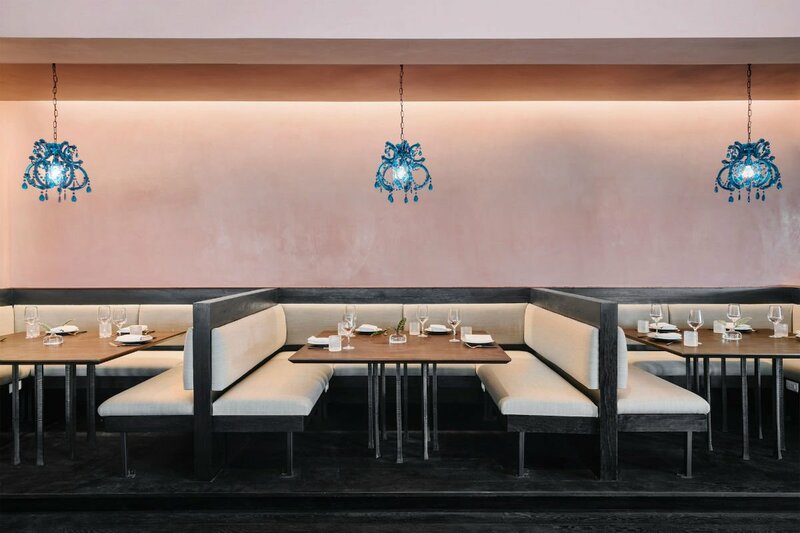 The styling brings together all corners of Austin in a chic rock-meets-ranch vibe, a look conceived by designer Sean Knibb, who also worked on the Los Angeles outpost. Mixed raw timbers and textural sandblasted plywood headboards are reminiscent of the surrounding ecosystem, while a lounge chair with chrome piping and saddle leather straps gives a nod to local ranch culture. 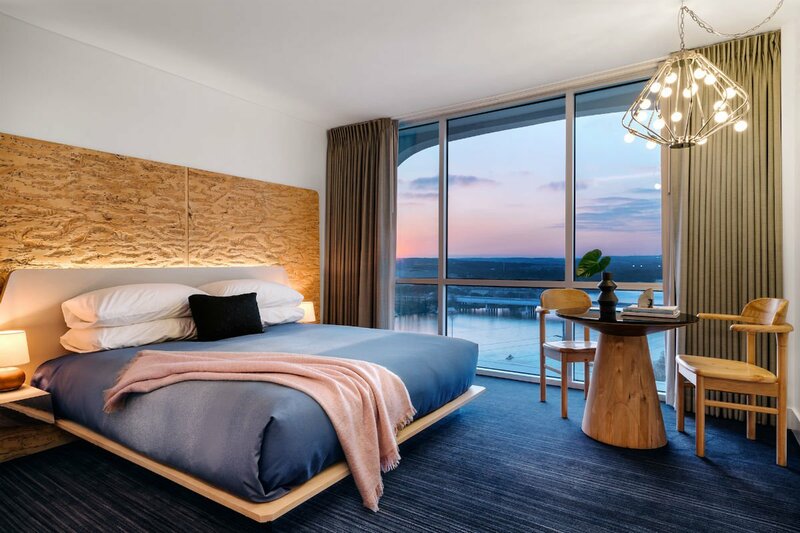 The minimalism of the decor allows the hotel to focus on nailing the things that really matter — the bed, the desk, and the chair. Staying true to Line's design ethos, the commitment to Austin styling makes it the perfect backdrop for local art installations from Texan artists like Xochi Solis, Alyson Fox, and Manik Raj Nakra. 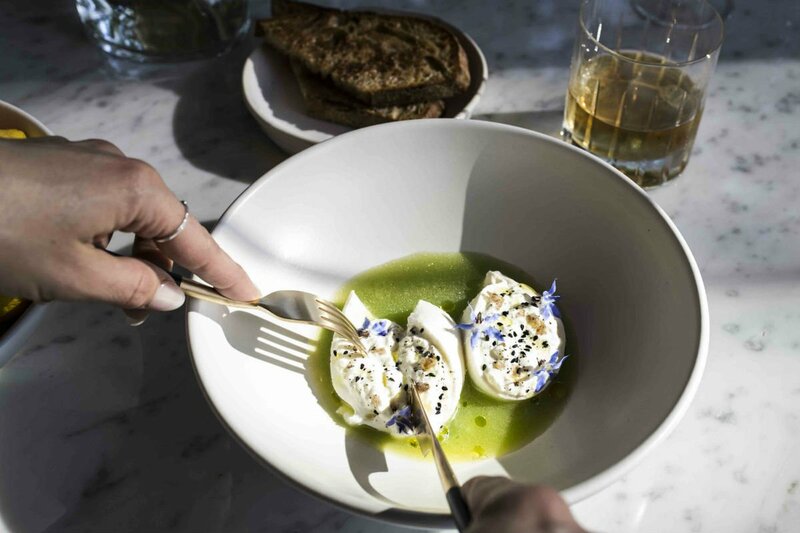 As the latest hotel from Sydell Group — the masterminds behind The NoMad and Freehand Hotels — you know you can expect authentic local roots and exciting collaborations. The bold geometric facade pays homage to the building's history in the 1960s, when it was The Crescent Inn. The legendary live jazz of Club Seville might be a thing of the past, but hospitality and entertainment are still the focal point. 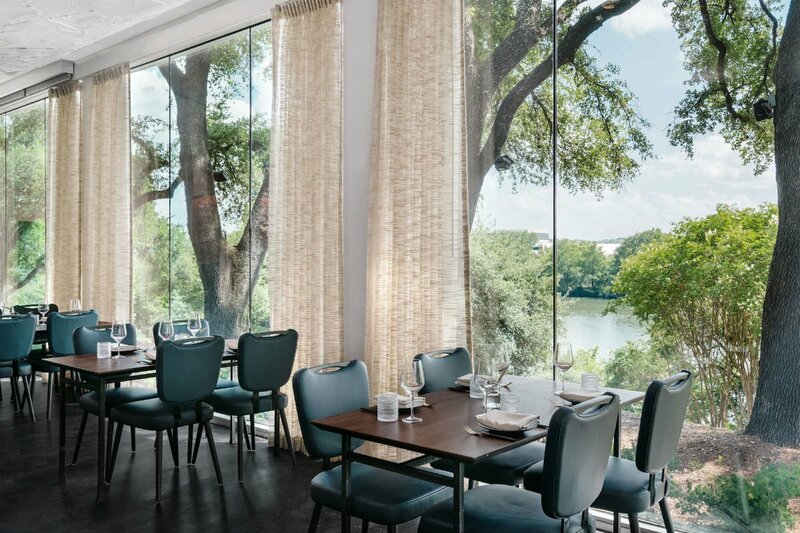 Headed up by Top Chef winner Kristen Kish, the lakeside restaurant Arlo Grey promises fine dining-meets-comfort food dishes bountiful in Central Texas produce, combining the technique of traditional French and Italian cookery with the food of her childhood and travels. LA-based Alfred coffee bar makes its Austin debut with a beverage outpost in the lobby serving Alfred's signature coffee and matcha lattes. The infinity pool offers cocktails and poolside fare. 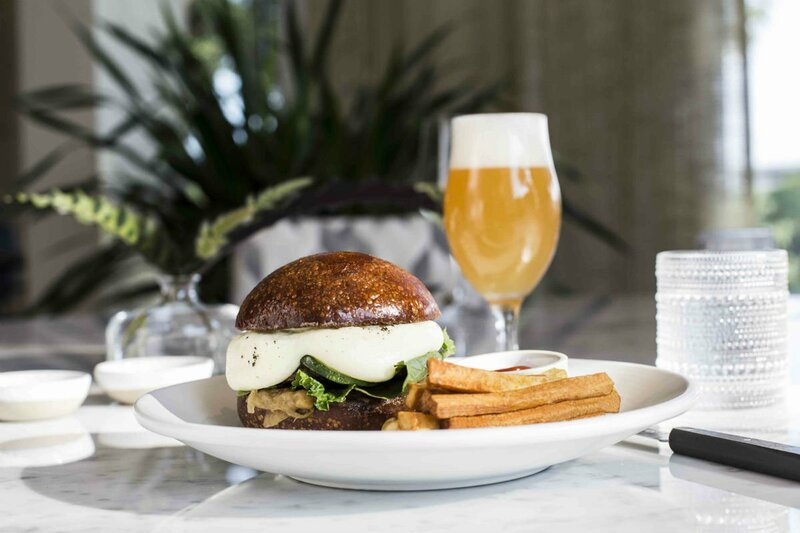 Dean's One Trick Pony, named after an old hotel performer from the '60s, does booze, burgers, and board games. 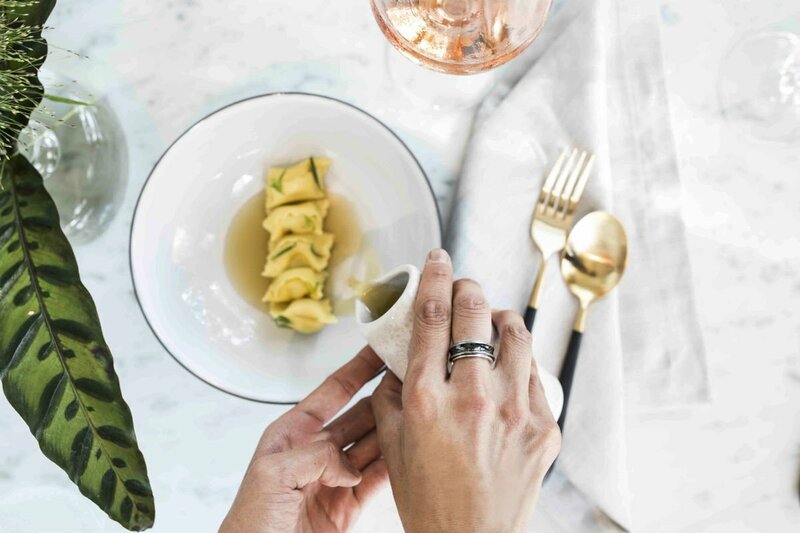 P6, the greenhouse-inspired rooftop lounge on the top floor of what used to be the hotel parking garage, specializes in handcrafted drinks, Mediterranean share plates, and incredible sunset views – the perfect setting to cap off a day in downtown Austin. Rates change seasonally and typically start at $275 depending on the room type. Click here for reservations. Or get in touch with the Fathom Concierge, and we can plan your trip for you.